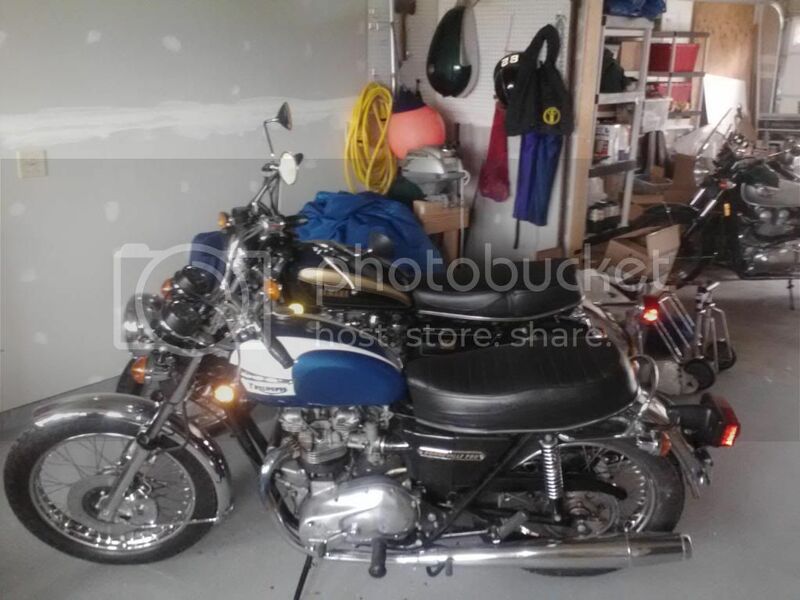 1979 Triumph Bonneville Special ? Beside the look is there anything major different from a regular 79? Should it handle the same with the different rear tire? I always liked the way they looked and this seems like a good price for a 79 Bonneville. Re: 1979 Triumph Bonneville Special ? I am not sure where the inquiry regarding the rear tire came from, I see no mention of a tire size change in the ad other than to say the tires are new... hopefully they are the correct size. The Triumph frame right up until the end handled great. Now, the Lockheed master cylinders were another story. 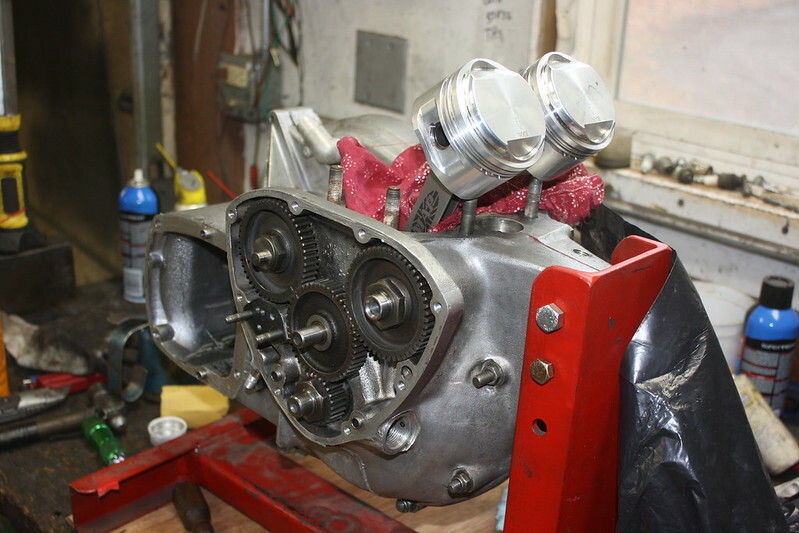 Typically needed a rebuild every couple of years due to bad seals and pitted bores so be ready to ask about those. Lester wheels, low miles... what's not to like...? I restored a 1982 TSS for a fellow some years ago, that was a gorgeous, last of the breed motorcycle. I've experience no "deterioration" in the 35 years I've owned the bike, mines not a "Special"
I have been riding ,racing and working on Triumphs for 40 years. All 750's are pretty much the same except for the stuff you see like wheels,exhaust and tire sizes. An original bike will 5000 miles sounds pretty good...However , all Triumph twins have a sludge trap in the crankshaft that after 35 years even with low miles will likely need to be cleaned. The engine must be completely torn down to do this. People may disagree but I have seen the lower end damge to many Triumph engines because of plugged sludge traps causing restricted oil flow. It's a decent price if the bike is complete. I found a couple of articles that may be helpful. I find it a lovely bike to look at. I have a friend who rides a '77 Bonneville. It's not near as nice a ride as a Yamaha XS650, but every time I've been given the opportunity to ride the Bonnie, I never want to get off. sure I've maintained it adn rebuilt the engine at 25000 miles but it's been pretty reliable and only left me stranded when i used sub-standard parts; an Emgo ign coil and a hardware store woodruff key. My buddy that I mentioned in the earlier post has a couple of old Triumphs. He likes to ride and he seems to like wrenching. He bought a new Bonnie in 2001 and still rides that, but it's rather sterile for lack of a better word. He recently added a Yamaha XS650 standard to his fleet that is one of the later standards. He wrenches on it too, but I think a lot less than the old Triumphs and it has more character from the saddle than the '01 Bonnie, IMHO. Yes Dusty, I suppose it does. The Yamaha doesn't really have wonky electrics other than prone to fail charging rotors due to age. The XS650 vibrates, but when tuned, not so much that hands go numb and parts fall off. The '01 Bonnie is silent and smooth by comparison. What else could it be? Can a stock '01 Bonnie have soul when compared to a 1975 Bonneville? I think that's a good question. Thanks for the insight. 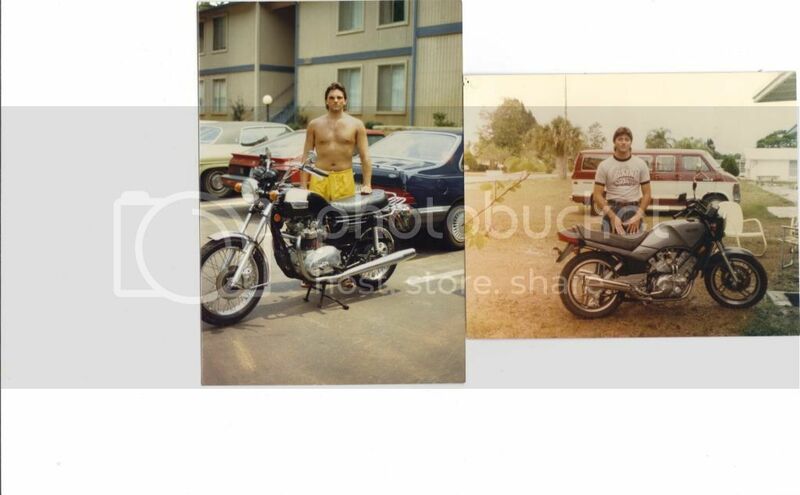 I owned a 77 XS650 which I put 10K on in one year and have ridden a friends 79 and a 81 rubber mount Bonneville( pretty rare bike) and have always enjoyed ridding them, since this bike, which was kind of ironic was made to compete with the XS650 special which I also had for a short while and didn't really warm up to it. Dusty, For a bike to have soul it has to bleed, this was the norm of older Brit & HD riders where I grew up. Now I can justify my bikes leaking oil. Owned a '74 XS very briefly , handling was a bit odd , but a good solid MC . To answer your question , does any machine have soul , or only the soul we impart to them ? Dunno . I guess to me reliability and ease of maintenance represent character as well as exhaust note . That's just me . Yes, the XS650 has rear weight bias as compared to the better balanced Triumph. In 1974 the Yamaha 650 still had a flimsy frame. I think their frames gained over 20 lbs by end of production in 1983. Yes, it's the soul we impart to them by virtue of their quirks, at least, that's how I see it. Steven, I vote you get the bike, run the crap out of it next summer and we can all place bets on how it lasts. Sound like fun? More of a pipe dream at the moment. I've owned my 79' Special for at least ten years, maybe a few more. Bought it because I love the look of the wheels, paint, and exhaust system. Regarding the handling comments, I push mine quite hard in the curves and have never had a handling concern. Corners as well as any Triumph I have ridden, which is always quite good. The exhaust system may limit the top end a bit, I've found it hard to make the ton after much carb tuning. I think the dual exhaust models might do a little better. Most my riding is in the 65-70 mph range. Added a smaller rear sprocket, lowered the cruising rpms by 500 or so. My complaints would be too soft of seat foam and the height of the footpegs. Front brake rotors are poor but it's a pretty light bike and doesn't need a lot of brake power. No holes in my pistons but I made it a point to sort the carburetion for the altitude. It does require maintenance but that's part of the experience. What can I say my first bike was a BSA Rocket 3 (still have that too). The price is good but if it's real rough be prepared for work and money. Mmmm, old Triumphs are an insidious habit I have never been able to quit.....On my work bench as we speak is a 650 engine for my street bike build. Vintage Routt 750 cylinders with custom rods ,pistons and cams..
Hmm , that's kind of ironic , MGB ;D Yeah , they can be sorted , the MK 2 Amals were horrible from the factory due to the emission regs . The other thing was the long intake cam timing and short exhaust cam ti ;Ding of the T140 models . Both of mine had T120 exhaust cams installed which made them run a bit cooler and helped the mid range to top end . One thing about 650 AND 750 CC Triumphs was the incredibly flat torque curve , pull like a train from idle . Yes stock 750 had a hot intake cam retarded about 7 degrees to kill mid range power.This was done by Triumph because of main bearing failures on the 750. Triumph had a huge stock inferior main bearings and changed cam timing instead of replacing the bearings......The trick is to advance the intake cam to about a 100 degree lobe center and pick up a lot of power for a few hours work and no money spent. The burned pistons are from detonation and or preignition. This is caused by improper timing and or low octane fuel and or oil in the combustion chamber ..
My Guzzi feels like a locomotive. My Triumph feels like a gazelle. For longer trips I want my BMW or my Buell. My Guzzi or Triumph I would ride far but it would be more of a challenge. Really depends on how much time and effort you want to put into it.